There are several items on the agenda that the bride and the groom have to think about before they walk down the aisle. Apart from the dress and the perfect venue, numerous brides are concerned with the means to get to the perfect venue. This is because it will be the first impression that a bride makes to her guests. No bride ever wants to have a negative impression on others during her big day. This article can be considered a good Wedding Limousine Hire Guide for a wedding in Sydney. There are several aspects to be considered in hiring a wedding Limo. There are also different types of wedding limousines depending on the bride and groom’s decision. Nothing says elegance and class in terms of wedding transport like a limo. It has enough space to carry the bride and her friends where they can have a few last laughs before she becomes a married woman. There are things to consider when hiring a limo. The company to hire from is the first one. One should check their business, credibility, and certifications among many other facets. The insurance policies are also a vital part to consider. This will help cover you from any losses that may occur in the future God forbid. Local limo hire service Lux Limousines Sydney they have public liability and professional indemnity insurance to give customers complete peace of mind. The price is also another aspect to factor in during hiring a limo. The Chauffer that will drive the bride and groom around needs to be courteous and polite during their big day. Effective services are one of the reasons why some limo hiring companies and agencies succeed while others fail. There are several benefits associated with hiring a limo for a wedding. The first benefit of hiring a limo for a wedding in Sydney is that the level of security and safety increases. This is because most Limousine service companies offer Chauffeurs that are experienced and have excellent skills in driving. Some companies vet their employees, as well as, test them to ensure they are up to code with the standards of operations in the company. The level of comfort in a limo is beyond any other level of comfort in ordinary cars. The seats are designed to offer serenity plus it comes with accessories that enable the party been chauffeured to have a blast. The location of a wedding plays a big part in making the wedding memorable. A good location is what a bride requires. Some even go as far as to book one year in advance. Some of the popular wedding locations in Sydney include; Allegro, The Water Front Function Center, Zest Waterfront Venues, and ottimo House Function Centre plus many other. Visit Easy Weddings to learn more about popular wedding locations. There are several packages that are offered by numerous companies when it comes to hiring their limousines for weddings. It is up to the couple to pick a package they prefer. It is vital to have knowledge in this area. There are different types of limousines that can be hired depending on the company the couple hires from. A list if the popular locations that weddings are held in Sydney have been provided in the above article. The benefits of hiring a limo, as well as, the costs of hiring one have also been examined. If you found this article helpful please like and share on your social media accounts. Australia is full of scenic landscapes and beautiful locales; this is something that is of great significance for those that have a soft spot for driving long distances. There are certain routes that one can make use of when the true essence of Australia needs to be experienced. 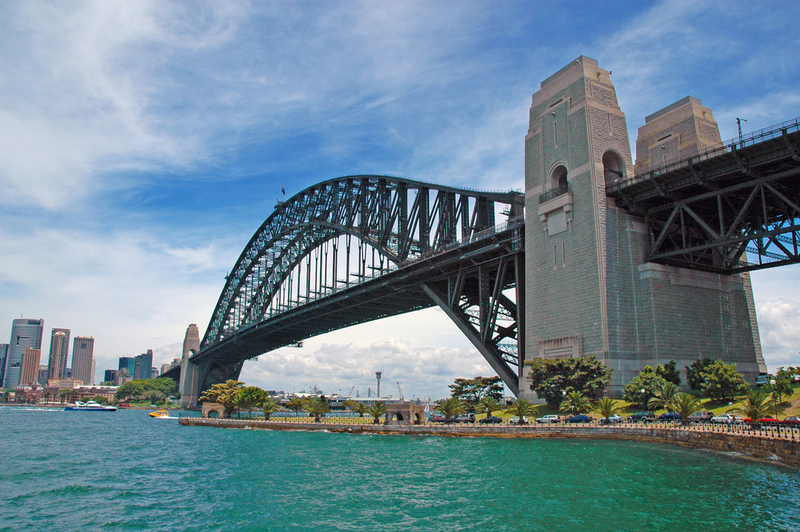 One of the most viable journeys that can be made by road in the island continent is from Sydney to Brisbane. It is also essential to get the best tips for driving from Sydney to Brisbane to be able to experience a smooth ride. Among the most important things that one should know, it is essential to learn about the different routes that can be taken to reach from Sydney to Brisbane. While the two cities are well connected through a coastal road, one can also choose to take the internal routes to be able to beat the traffic during peak travel seasons. Most people that want to experience the natural diversity and beauty of Australia choose to opt for the Pacific coast highway or the Route 1 as it is commonly known. One can witness the perfect combination of modern infrastructure as it meets the beauty of the sea coast. While the route is a longer alternative for travel between the two cities with about 920kms to cover over a period of 10 and half hours, it is still highly preferred. Route 1 has a highway and is therefore considered to be quicker as well as smoother for road travel and finds a mention on all tips for driving from Sydney to Brisbane. One of the most comfortable and practical alternatives to take a stop while on the Route 1 drive is the Coffs Harbour. While one can find a lot of places to grab a bite or a beer, it is also possible to stop over for a night or two. This is a stop for the travellers that need to unwind and rejuvenate as they drive. Visitors to the Palm beach can find relief on the clean sandy terrains of the beach. A true blue tourist would find immense happiness in taking a halt at the pit stop. One of the greatest attractions at this place is the hospital for injured Koalas, which is also a place for tourists to know about the animal. The travellers that seek to take the route less trodden, the New England Highway proves to be a good alternative. One can experience the natural terrains of Australia with this route as it passes through fewer towns. While the route is longer than the Pacific Highway route with about 940kms, it proves to be quicker during the times of the year when a lot of people are taking road trips. The New England Highway can make for an outstanding experience when one seeks to get a taste of the hilly regions of the country. One can find some amazing food, drink and resting places at Uralla while on the New England Highway. A stop at the Muswellbrook can be a highpoint for those travellers that like to know more about the history, culture and art of the Place. When one needs to experience the unparalleled beauty of Australian music, Tamworth is the place that they should halt at. A final route that one can choose to take is the detour from the Pacific Highway towards Grafton. This is a route that is ideal for those travellers that want to experience the modern highway region as well as the natural beauty of the region. While one is likely to find little mention of this 920kms route among tips for driving from Sydney to Brisbane, this is a route that helps explore the country in a different way altogether. This is a route that takes one through National parks, which is why travellers are bound to see a lot of trees and woodlands. Nature lovers can also find respite through this route with waterfalls on the way. One can also be lucky enough to spot some of the best eateries in the region, while on the drive.